In January 2012, ASDA restructured the management of its distribution function to drive operational efficiencies and improve productivity. The new structure gave greater management responsibility to shift managers and department managers. This freed-up general managers to focus on other areas, such as change management and problem solving. The change represented a significant cultural shift for distribution depots and it was agreed that it was essential to support the introduction of the new structure with relevant management training. 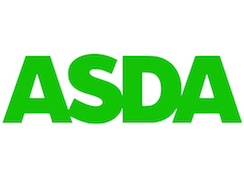 ASDA wanted to develop a learning programme which would further challenge their top talent, with a view to help them work towards the general manager role. The company were looking for a degree programme to add value and rigour to management training, as well as offer something back as an incentive to high-performing staff. Middlesex and ASDA developed a BA (Hons) in Distribution, which operates as a pathway of the BA (Hons) Retail Operations degree programme. The programme was designed to widen thinking, improve problem-solving, and drive continual improvement in a lean environment. Course content was linked to the areas of accountability which are owned by the senior site support team, as well as health and safety, relationship management and stakeholder engagement. Thirty staff from retail stores and distribution centres study together on the three-year work-based award. Although the degree programme is still in its infancy, the benefits to ASDA are already huge. By sharing modules and workshops with the Retail Operations degree, the managers from the distribution centres are creating networks and promoting understanding of the activities and impact of distribution in a way which was not previously possible. 50% of the students have already been promoted and demand for places on the next cohort of the BA (Hons) Distribution has increased. "Businesses recognise the benefits to themselves and their employees of working closely with the higher education sector. Courses like those being launched by ASDA ensure that employees are equipped with the right skills and techniques for the job." "Education and industry must keep innovating in order to provide the skilled workforce our economy needs and a big part of this is offering different ways of gaining high level professional qualifications."